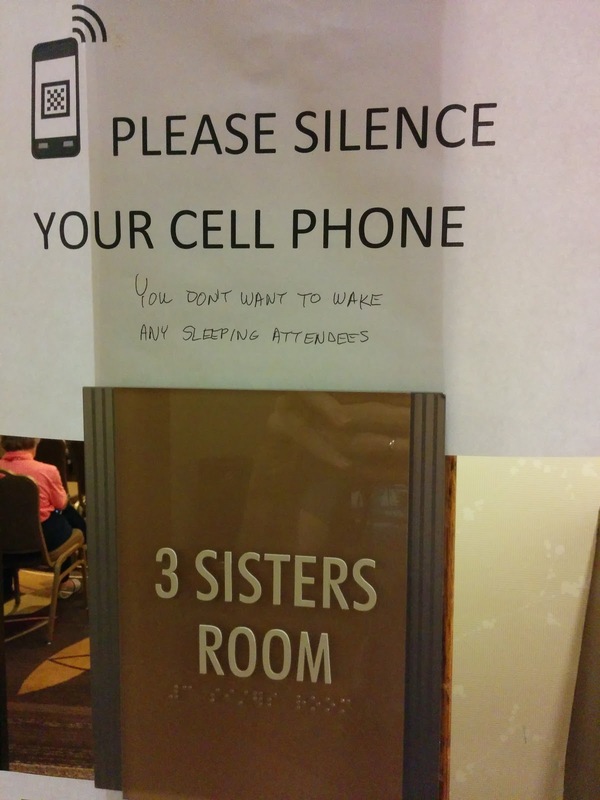 In case you were wondering ... 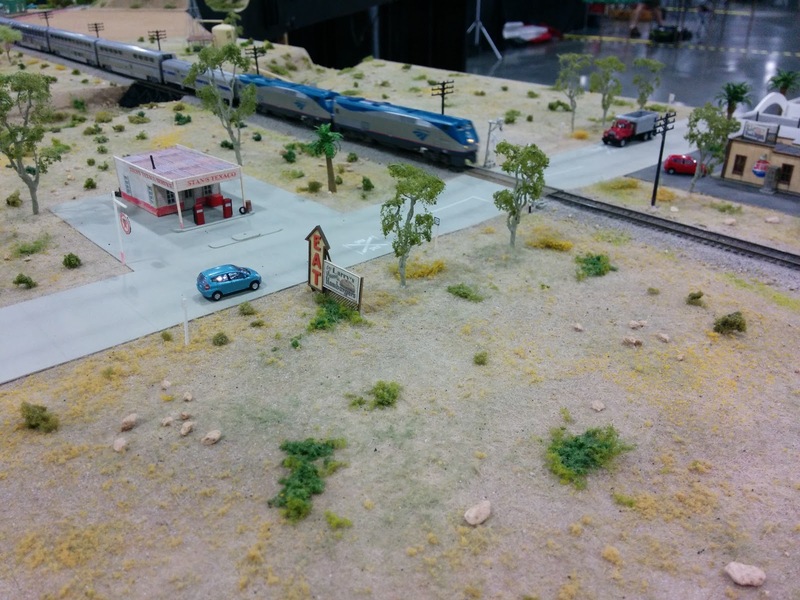 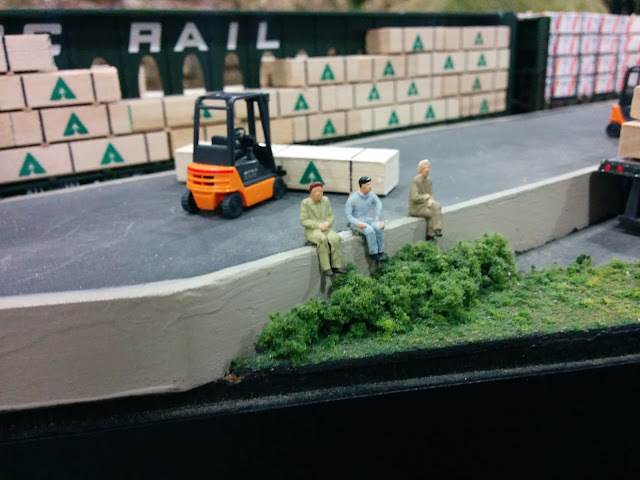 Yes, even a model railroading convention can be exhausting. 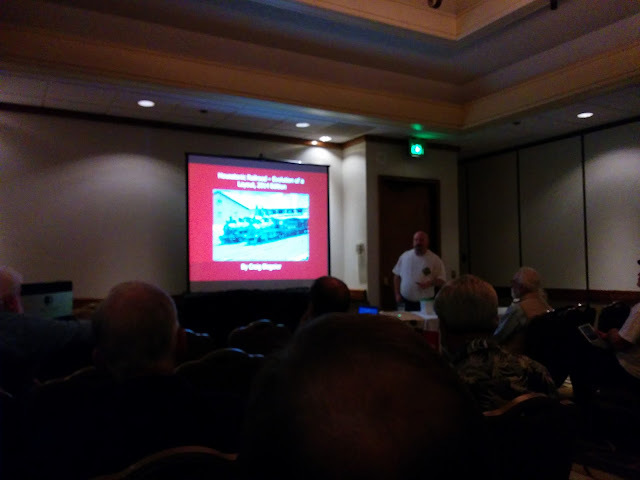 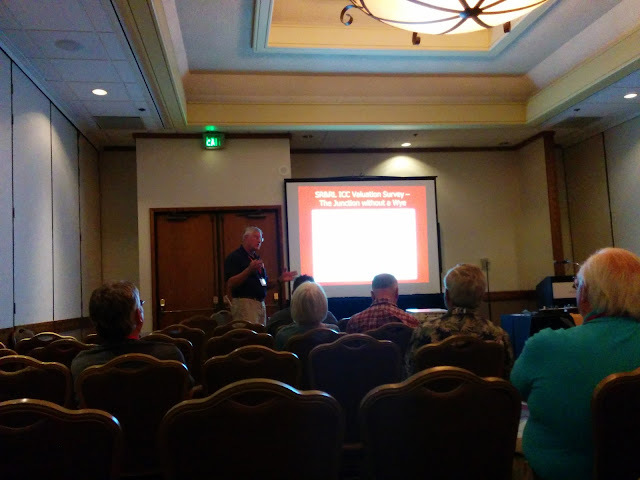 Craig Bisgeier gave a very entertaining talk on the evolution of his Housatonic 1892 layout. I've been following his construction journal for a few years and was bummed when he stopped updating it. 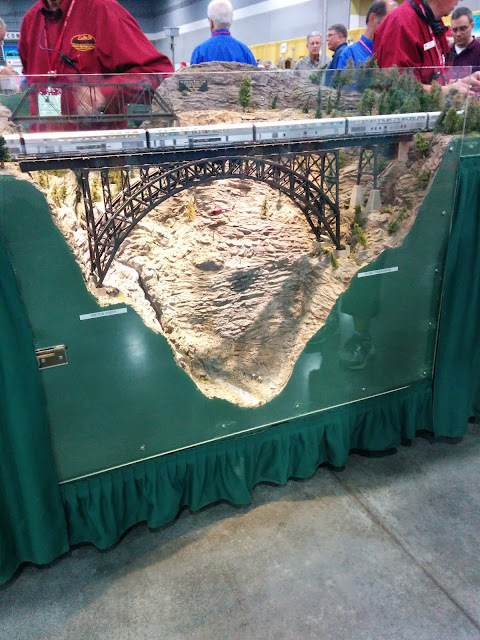 Jim Providenza's talk about his garden railroad modeling the Sandy River & Rangeley Lakes in Proto 20.3n2 fine scale was great. 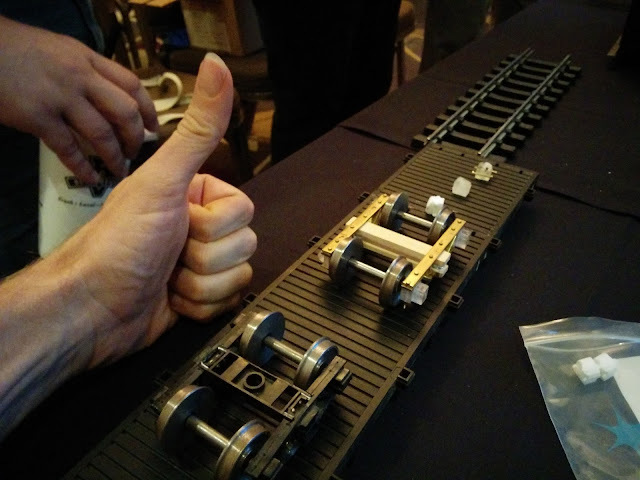 Due to the unusual scale and standards he ends up scratch-building most of the rolling stock and track. 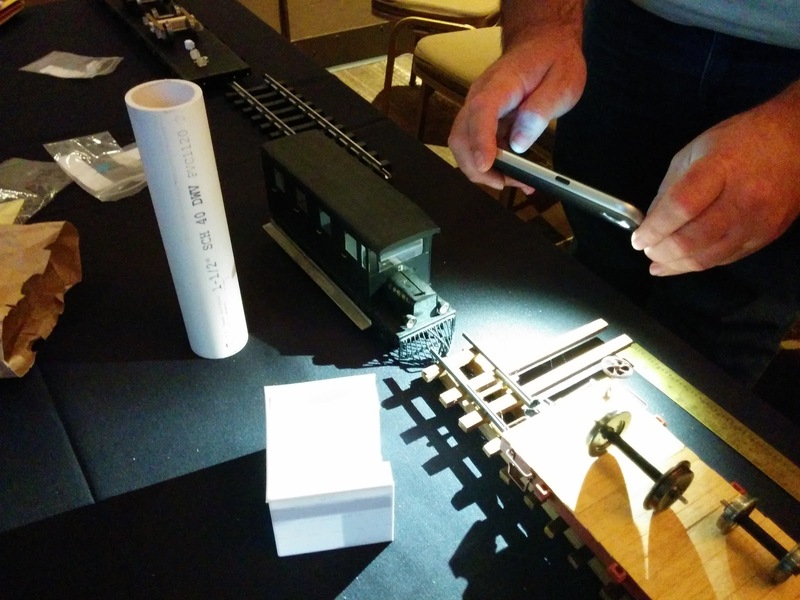 Jim brought along a few samples of his work. 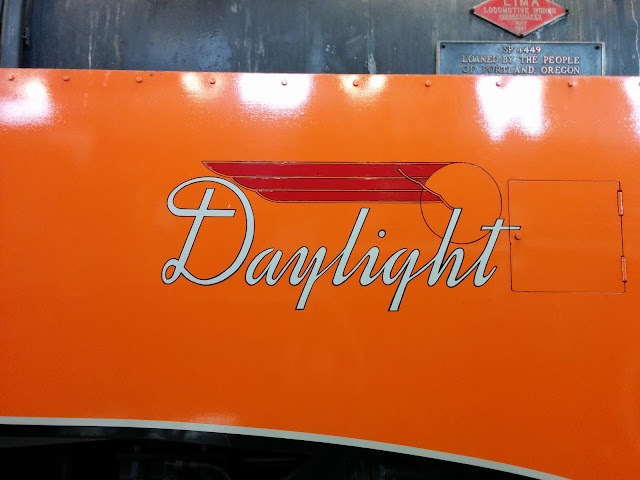 Condor (!) 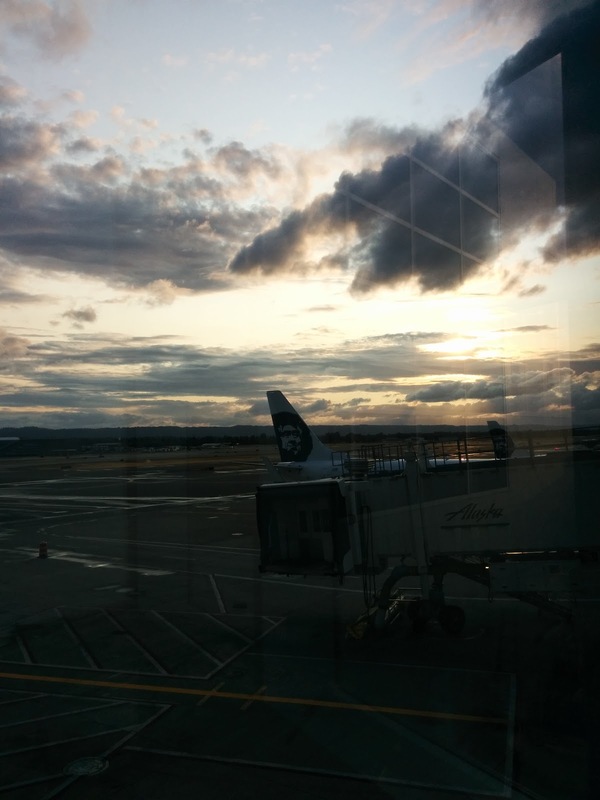 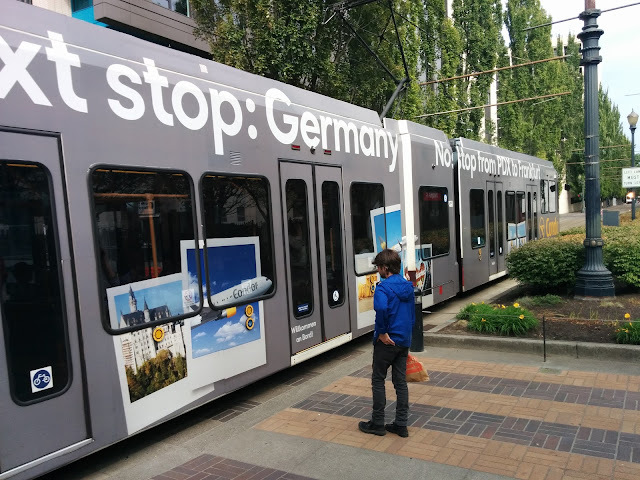 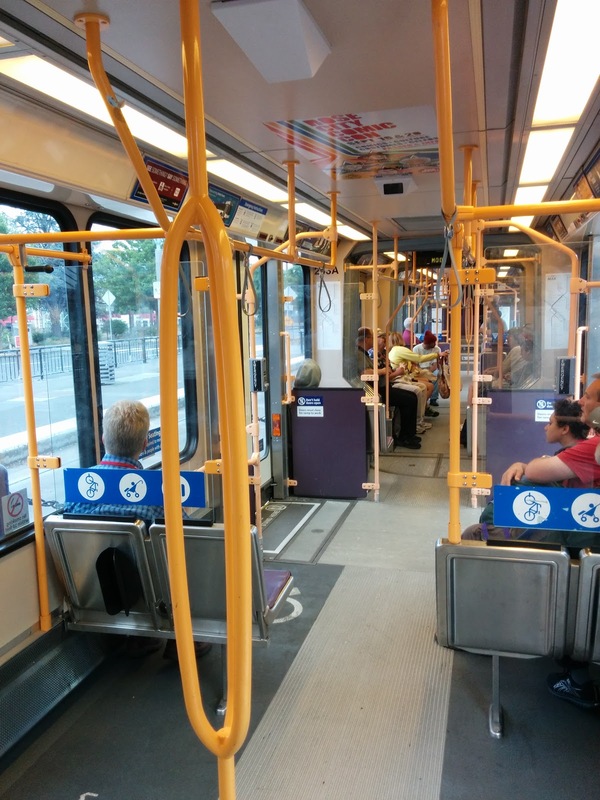 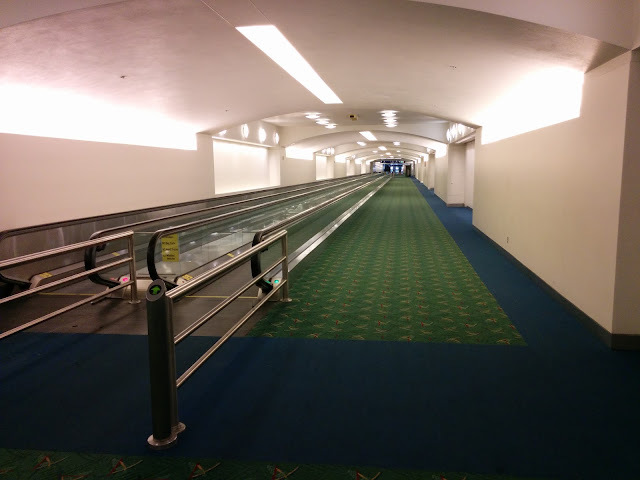 is now flying nonstop from PDX to FRA and makes it known on MAX lightrail cars. 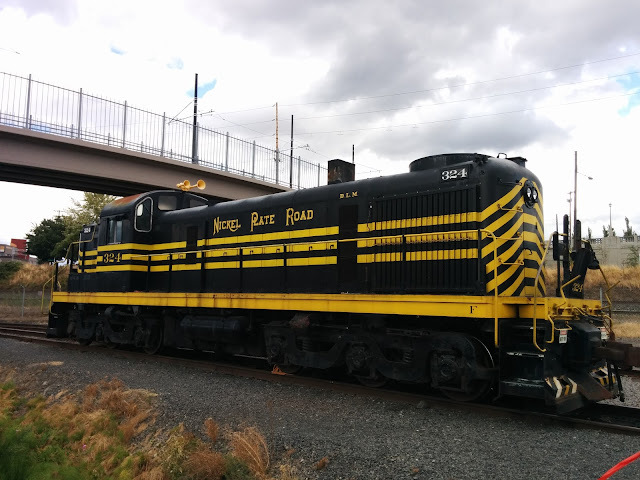 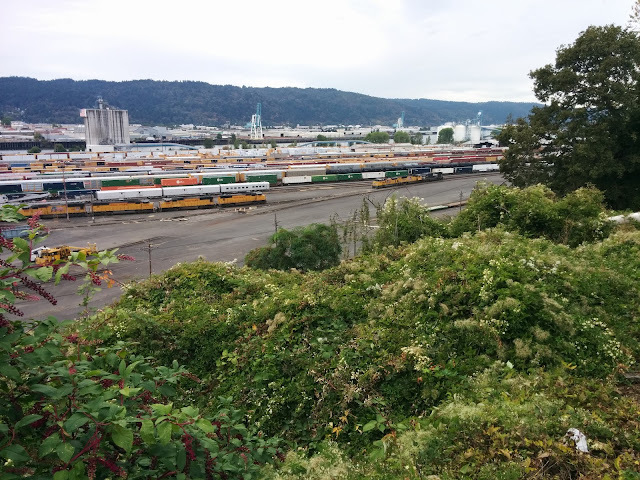 While that south-bound freight was still leaving Albina Yard, we took MAX down to the Rose Quarter/Interstate station to catch the Blue Line back to the convention hotel. 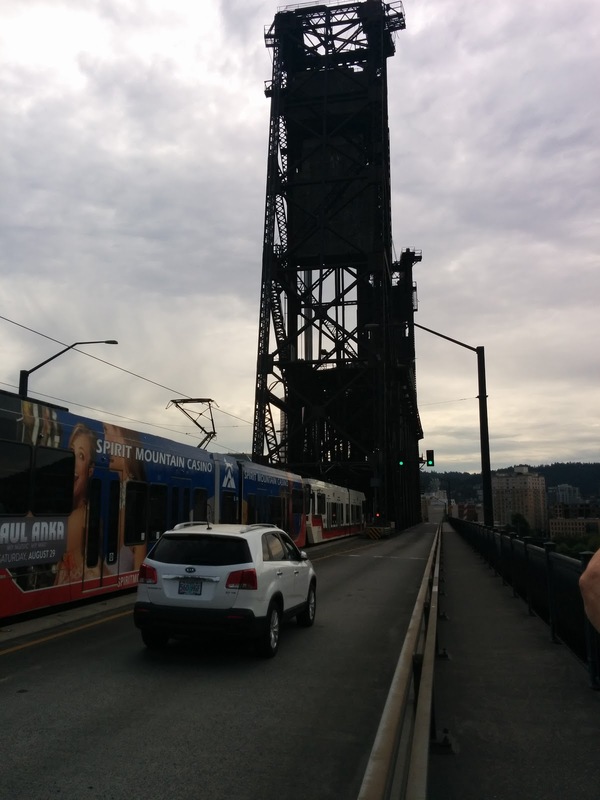 On a whim I decided to take a few more photos of the Steel Bridge in daylight. 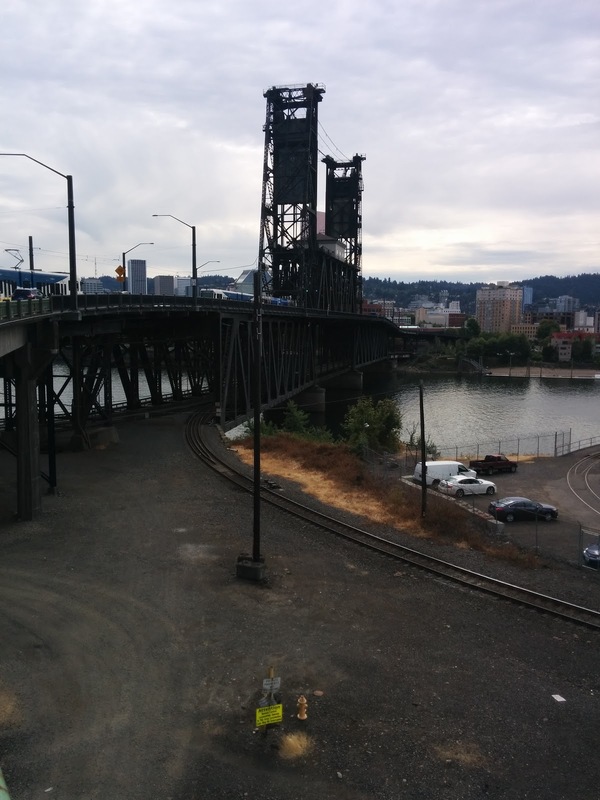 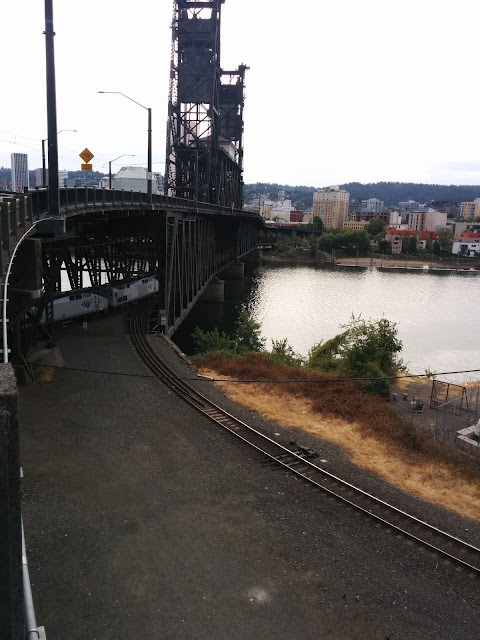 Walking towards the Steel Bridge we cross over the mainline. 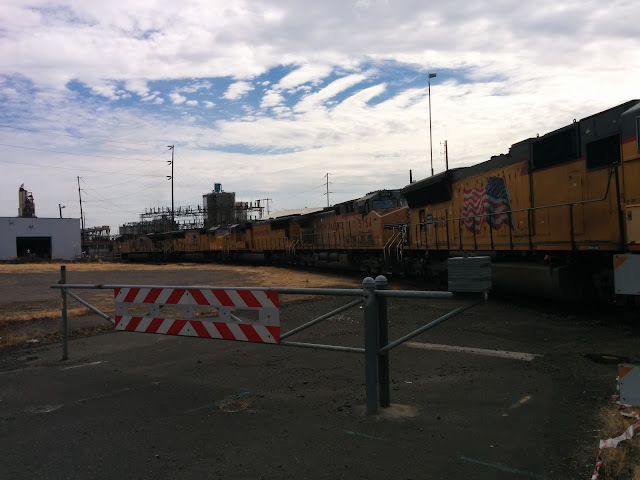 The freight is still leaving town (yes, they are not exactly going fast here...) Henry points out that little critter switching cars at the Louis Dreyfus Corp (LDC) grain facility. 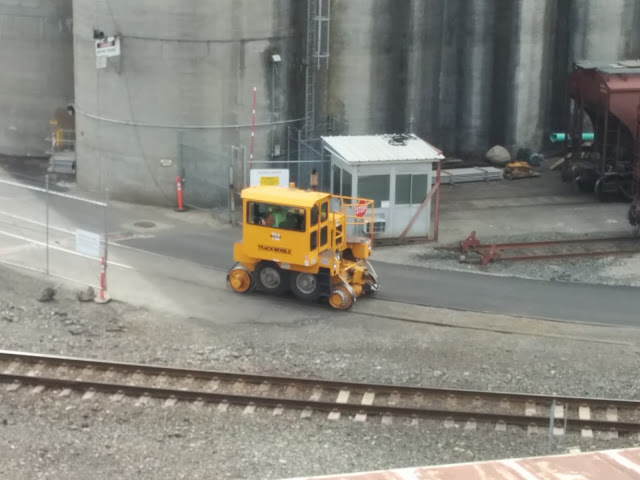 What little critter? Oh, THAT little critter. The tracks here are packed really tight next to the main line. And they even have a ballon track going around the silos with a radius that would make any toy train proud. 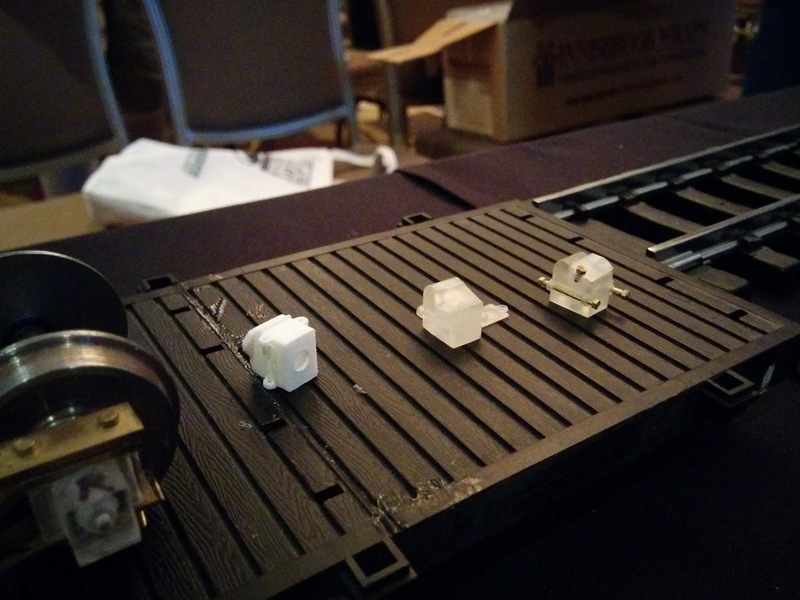 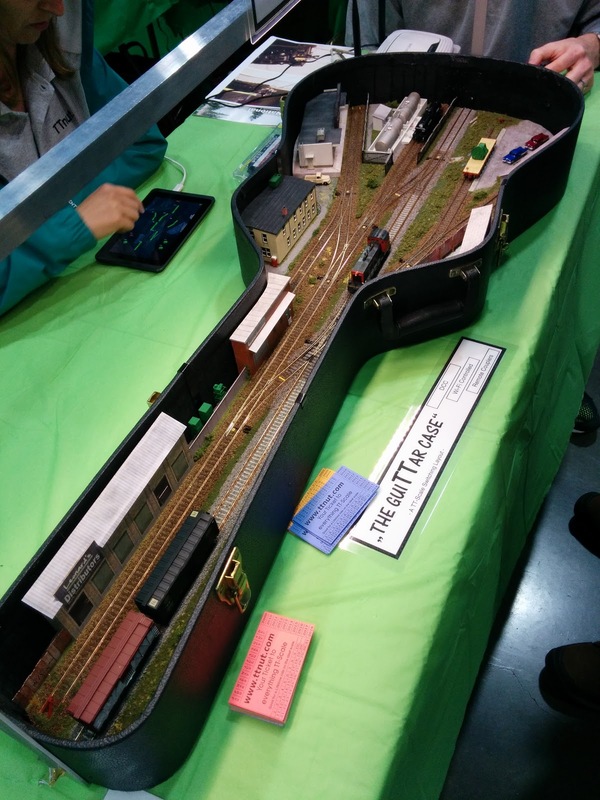 What a neat prototype for a small, totally prototypical switching layout including rail-marine operations. 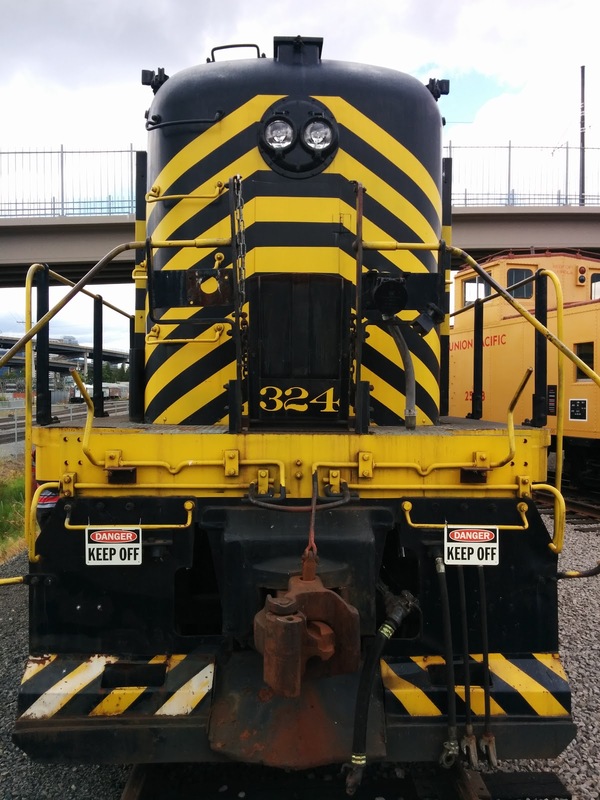 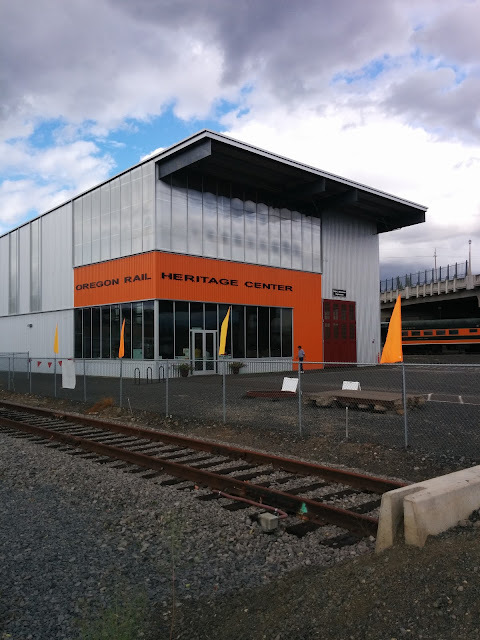 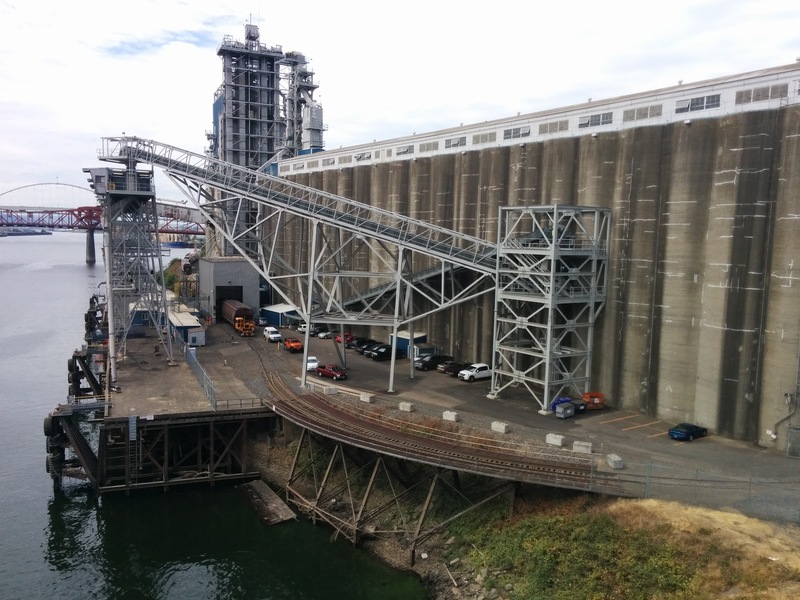 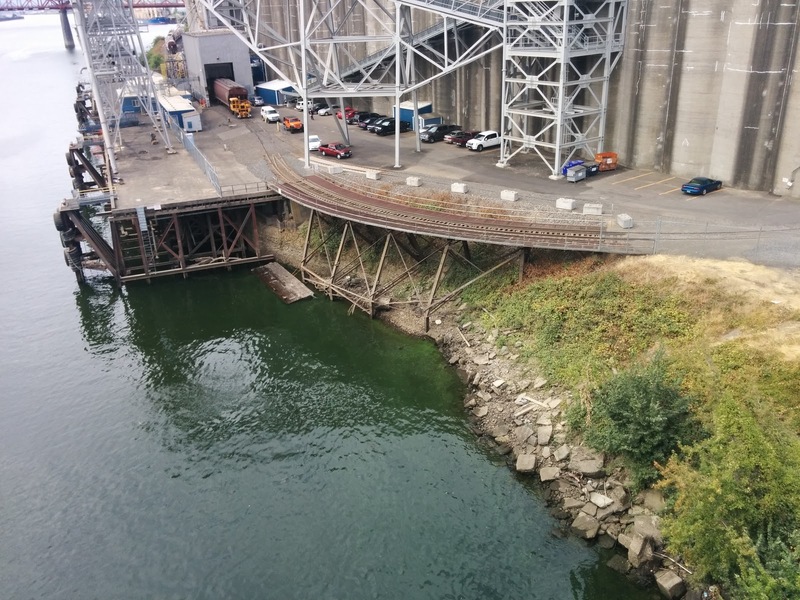 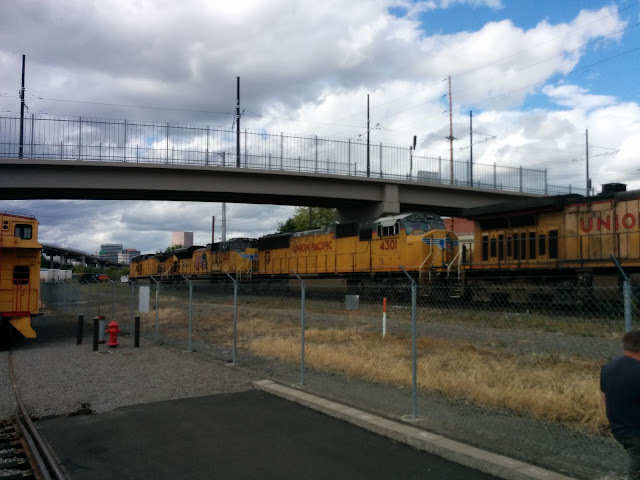 Albina Yard, Union Pacific's main yard in the Portland area is right across the Willamette River from Union Station. 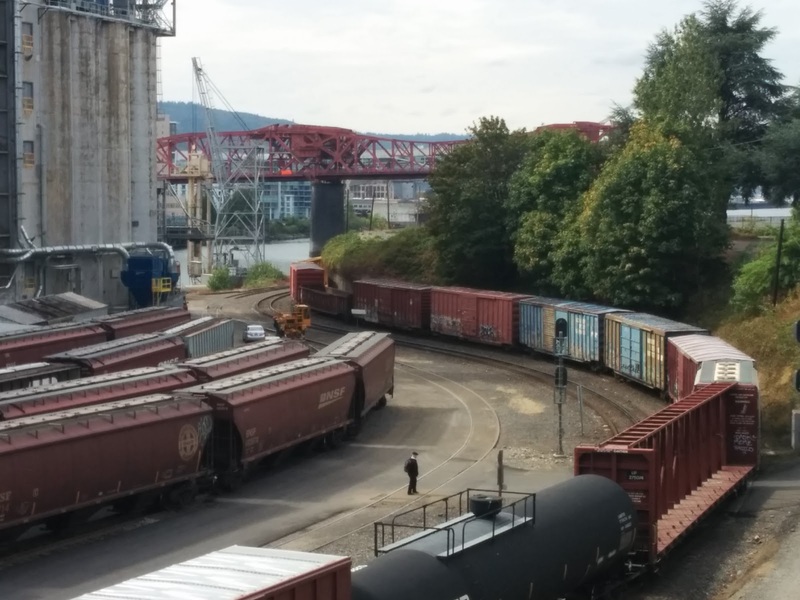 It seems the yard is always busy with trains leaving and arriving around the clock. 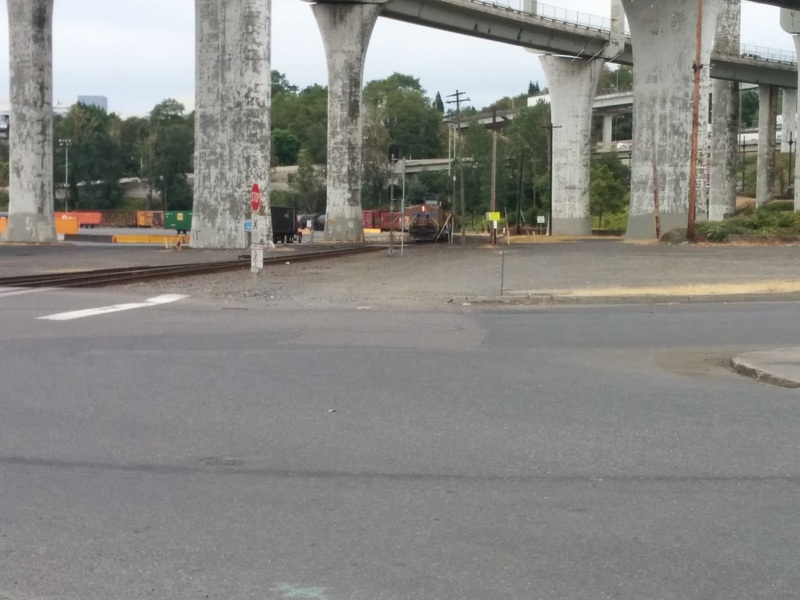 While walking alongside the yard, I saw a fresh crew getting on the locomotives of this manifest freight parked under the ramps to Fremont Bridge / 99W. I figured they'd leave soon, so I walked down to the yard and waited. 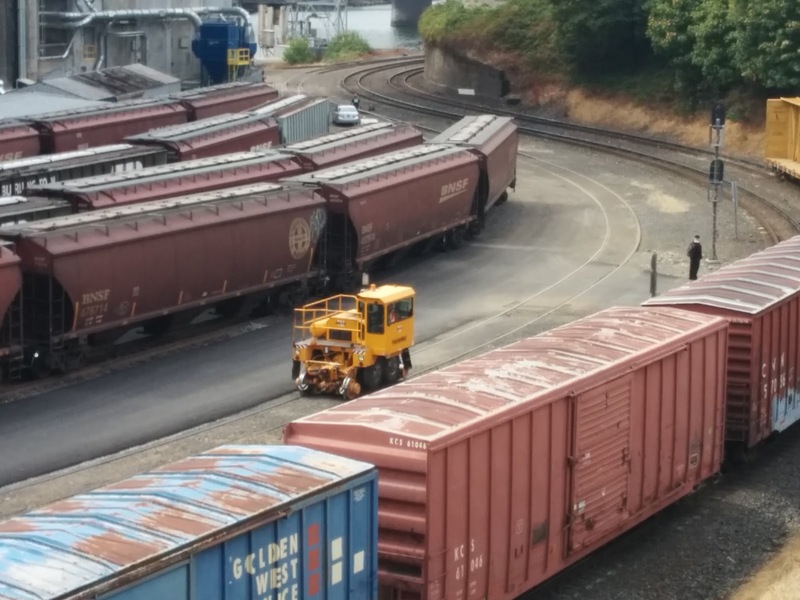 Finally, they were taking off after a northbound freight had made its way into the yard. 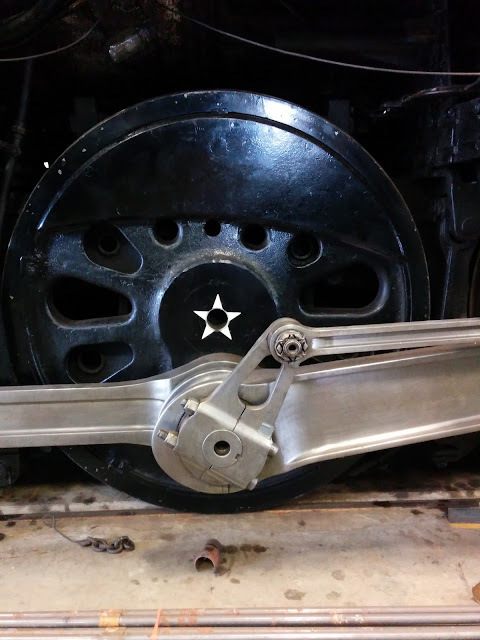 Yep, that's some serious power. 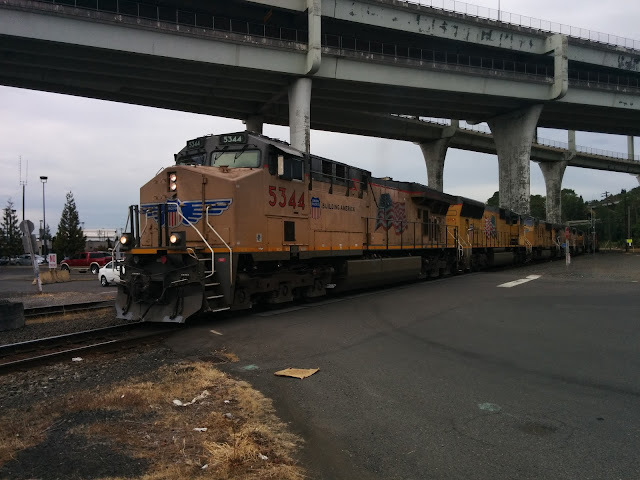 We don't usually see that many engines on freights in the Bay Area. 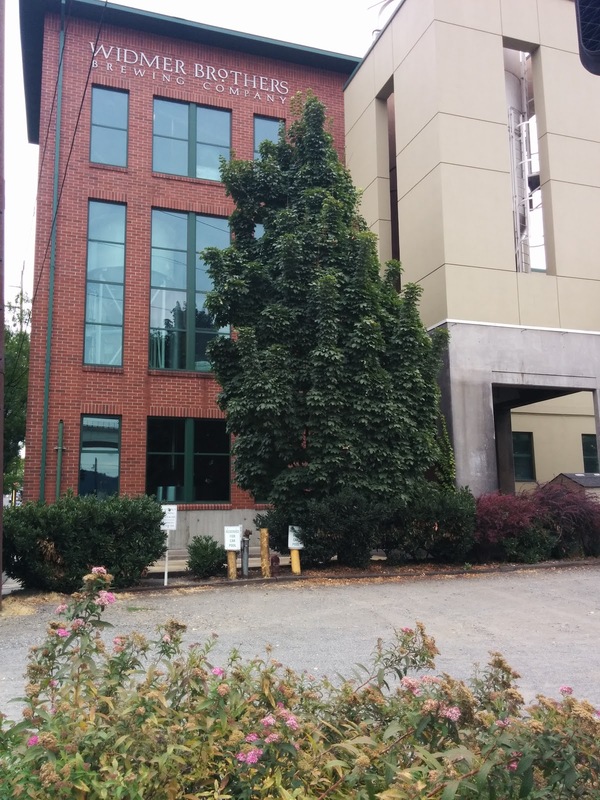 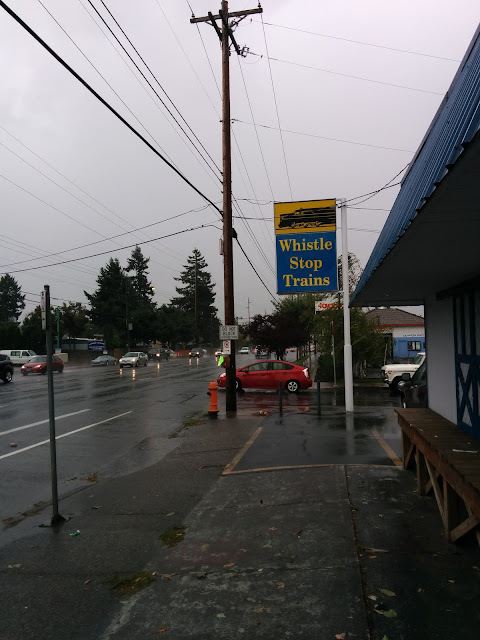 Conveniently, the Widmer Brothers brewhouse and pub is right next to Albina Yard, so you can have a beer with a view. 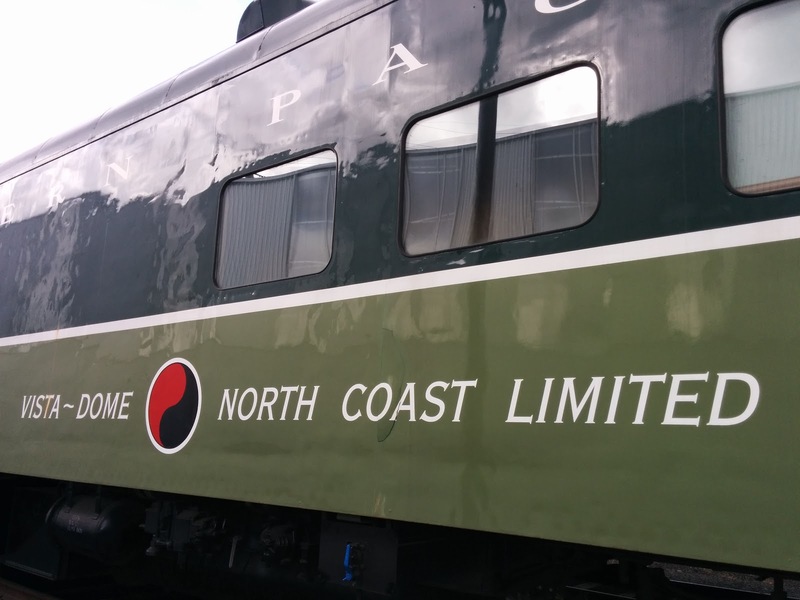 The National Train Show took place at the Portland Expo Center at the very end of the MAX Yellow Line. When I took MAX to get there shortly after 9am, it seemed like that either everyone was there already, or not taking light rail. 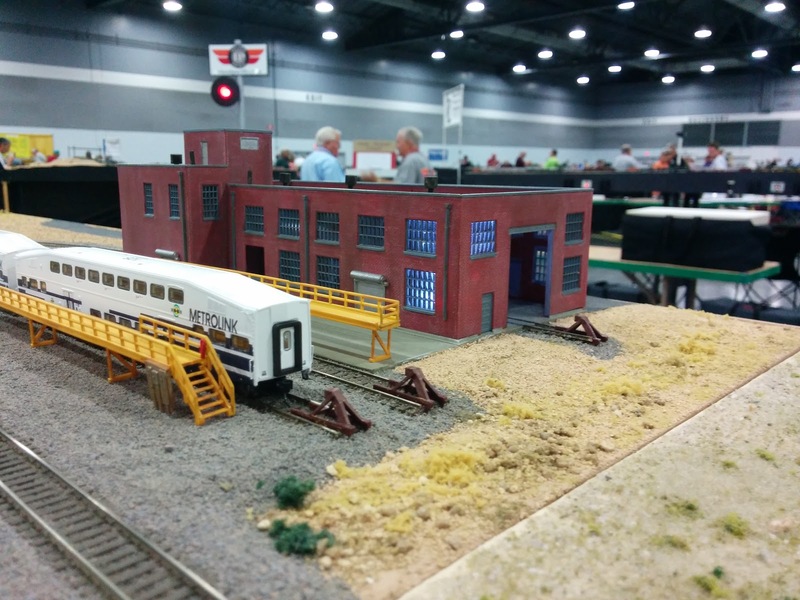 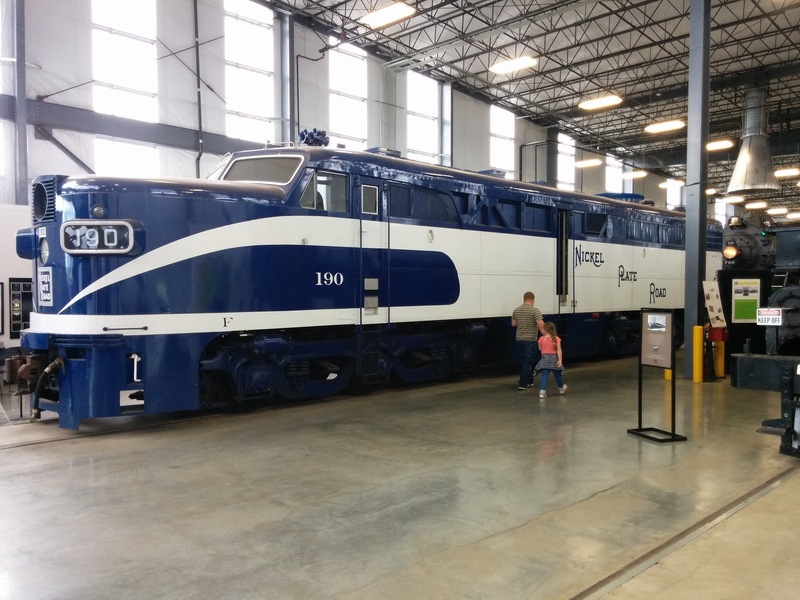 The Train Show occupied two halls at the Expo center. 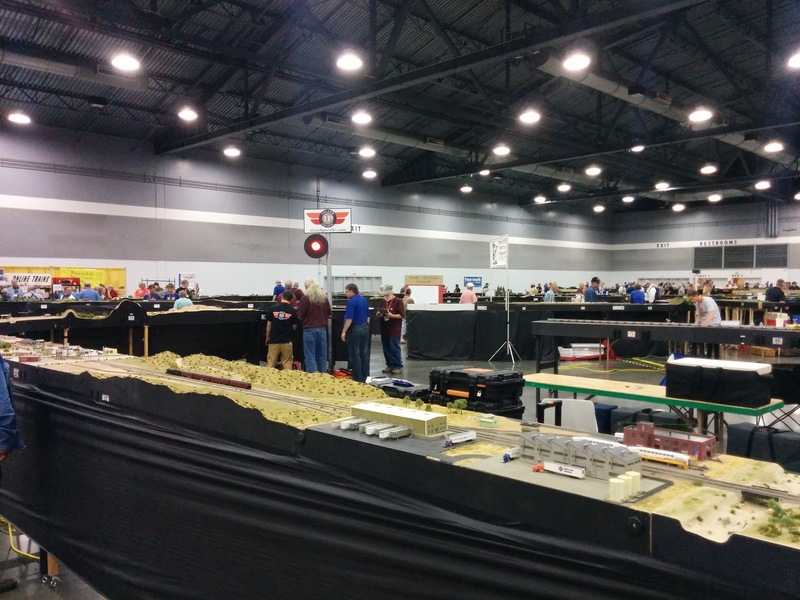 A large fraction of the space was taken up by modular layouts. All the big US manufacturers, as well as many small manufacturers, were present at the show along with the usual magazines and organizations. 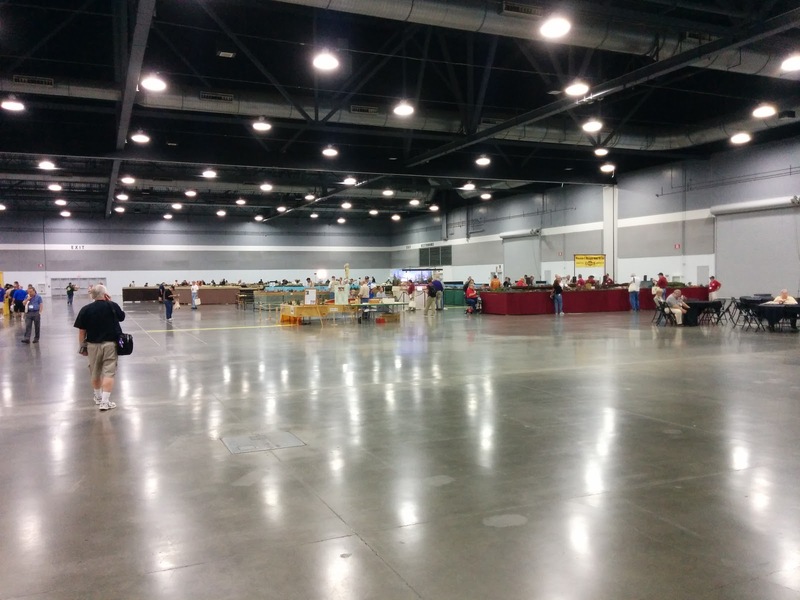 The halls are spacious, and I heard two large modular layouts canceled on short notice, so there was quite a bit of open space. 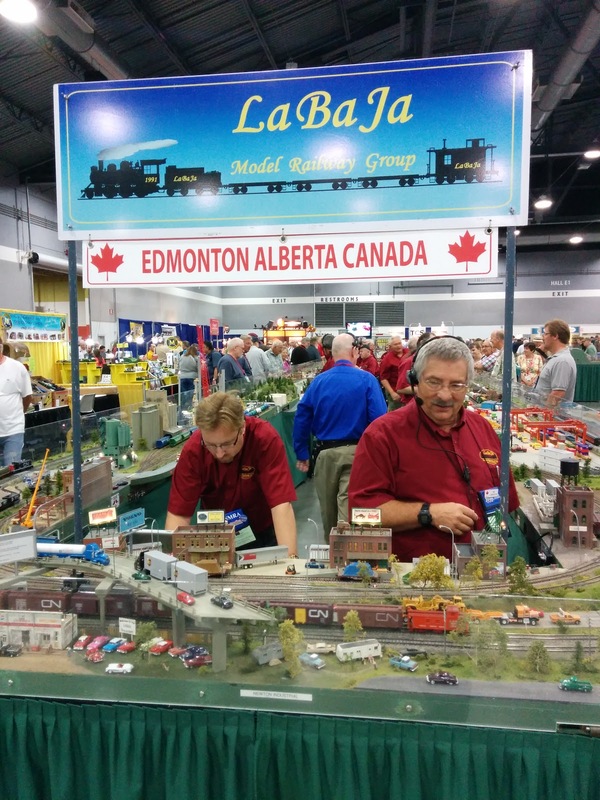 LaBaJa Model Railway Group from Edmonton brought a fun layout to watch with lots of action, and it appeared they were actually operating it, instead of just running trains around in a circle. 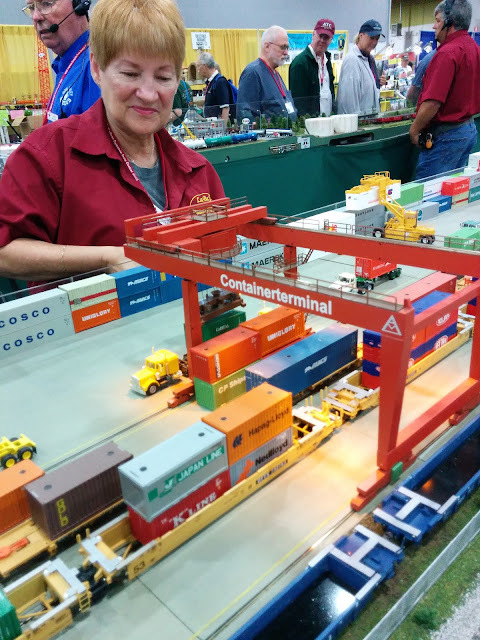 This friendly lady used the fully functional portal crane to trans-load containers between the facility, well cars, and trucks. 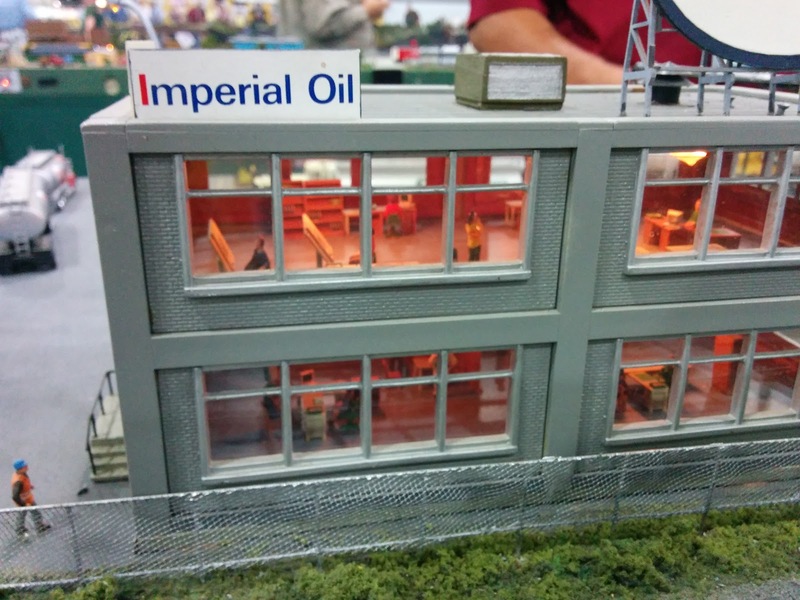 The Imperial Oil head office employs several technical draftsmen, and we can watch them work. Four FreeMo-N modular groups combined their modules to one large layout. 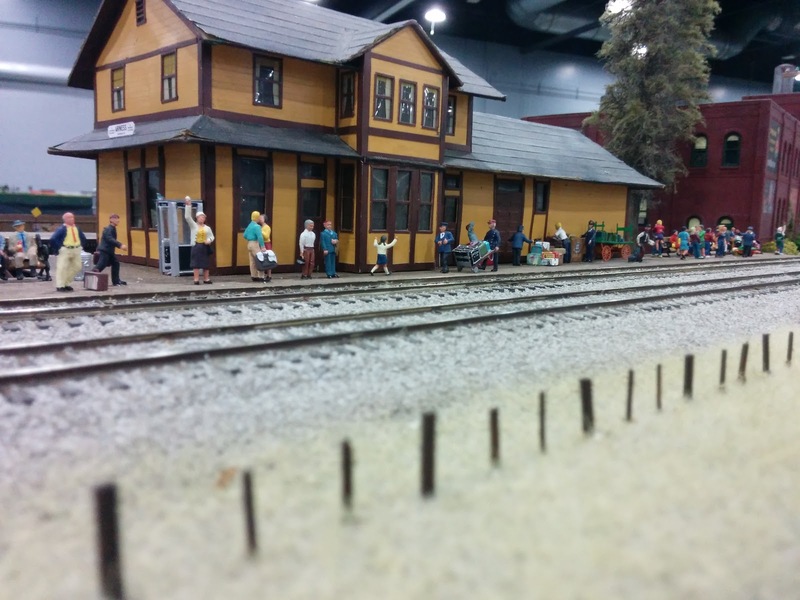 It took a passenger train over one hour to traverse the whole layout. 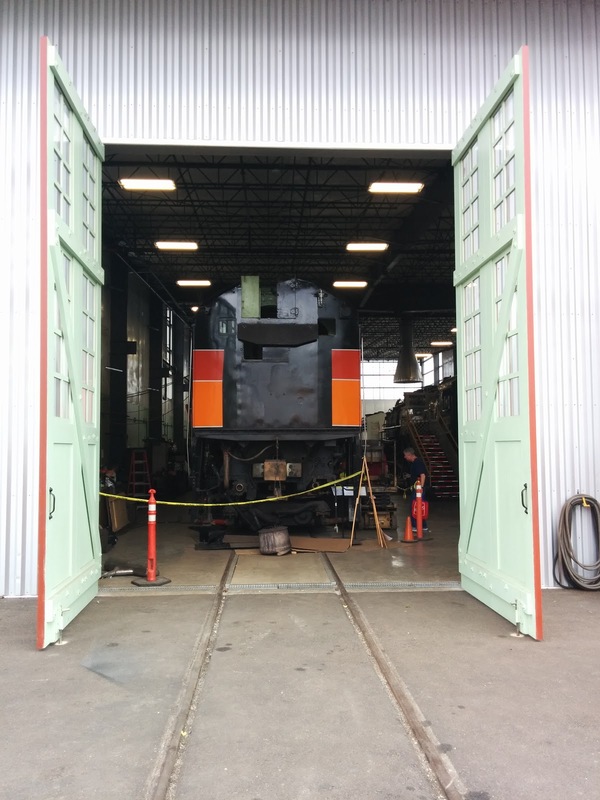 Maintenance facility. 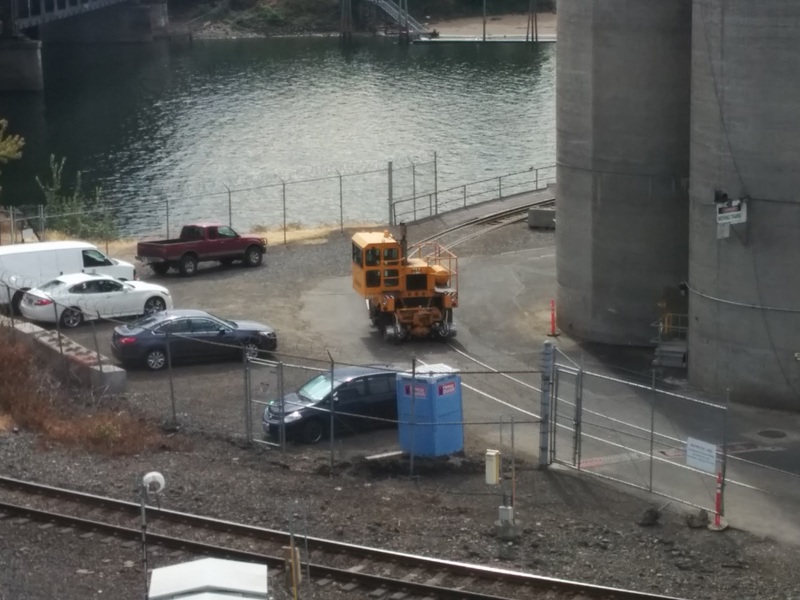 Someone is welding in the building. 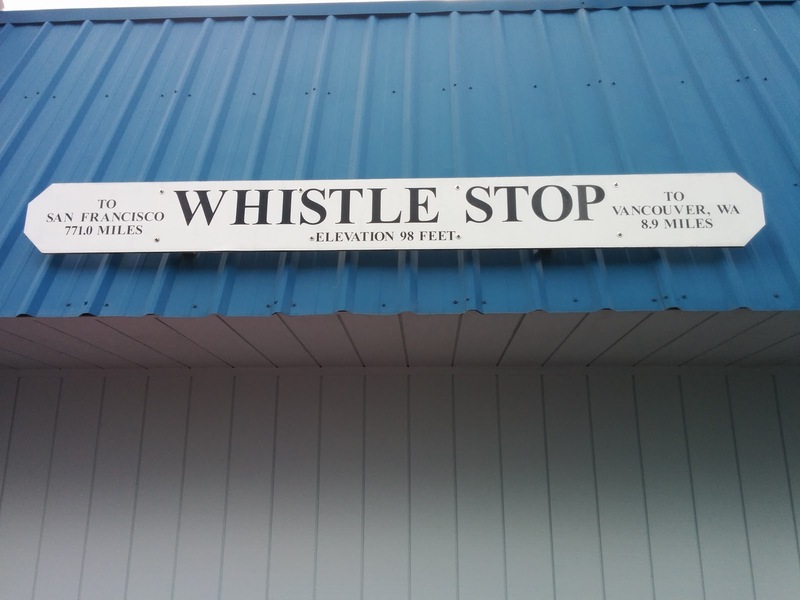 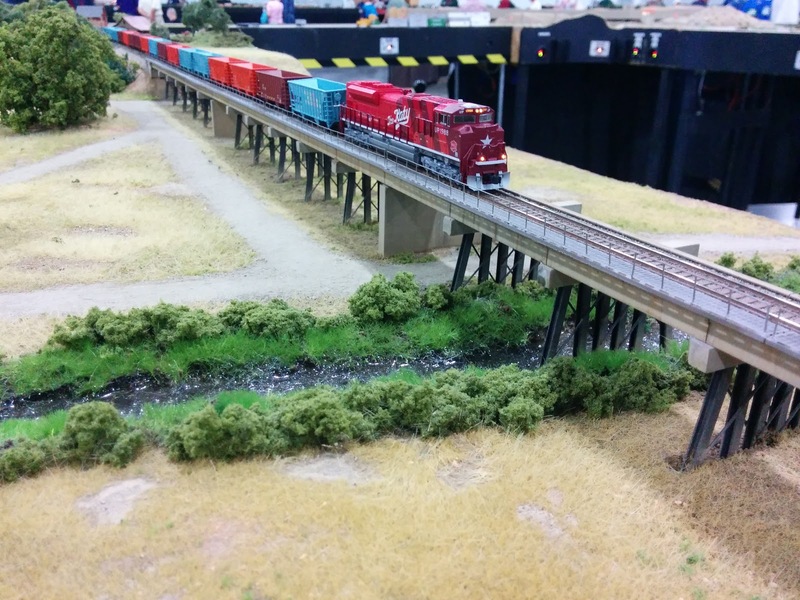 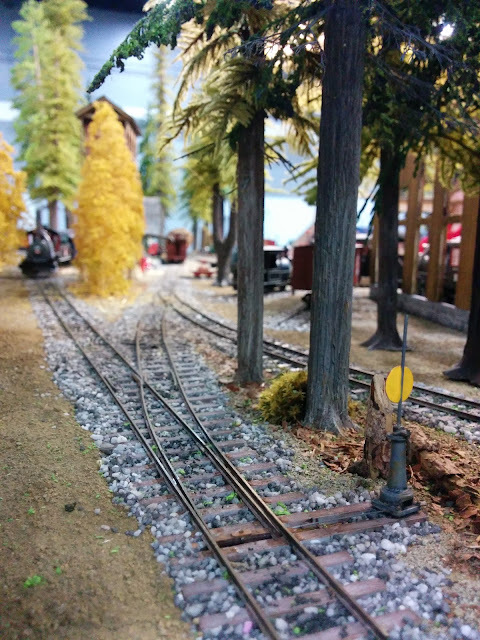 There was also a good-sized FreeMo HO layout, "Coldslap" from Chiliwack, BC. 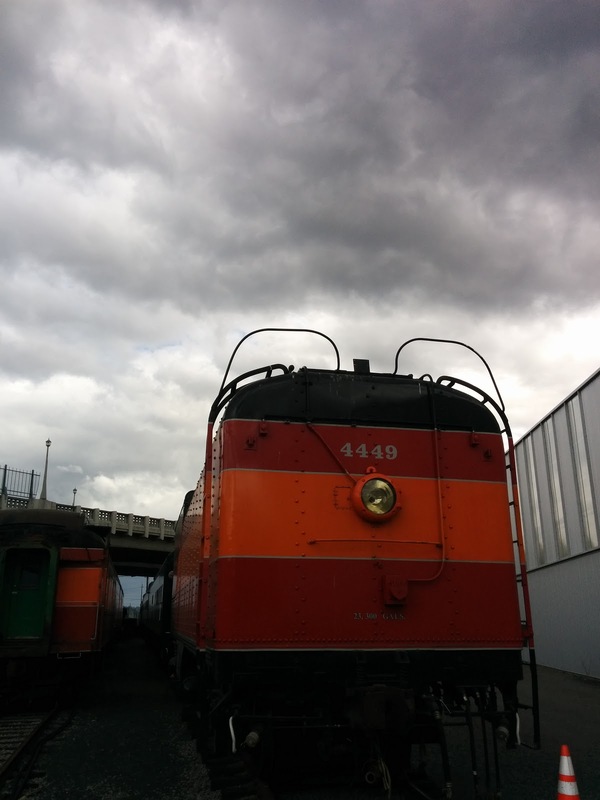 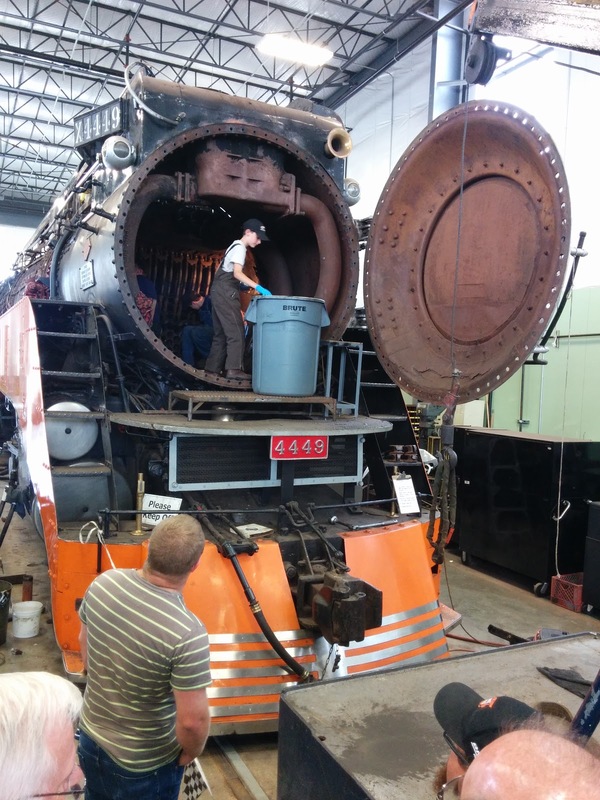 I just now realized I didn't take any photos of their very nice yard and engine facility. 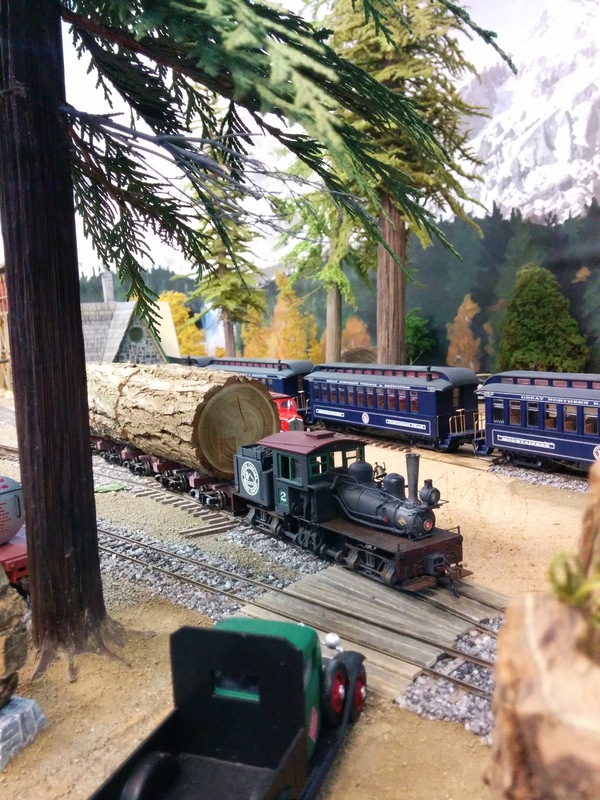 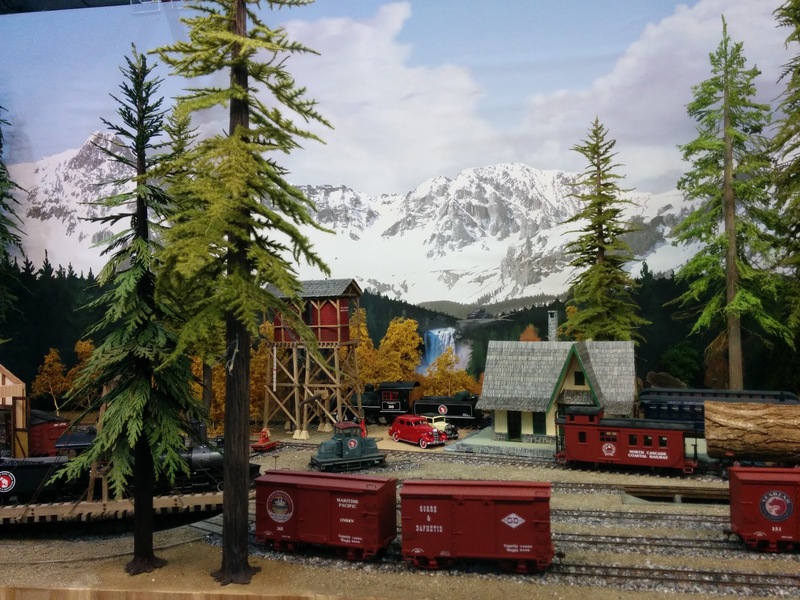 I very much liked this diorama of a logging railroad somewhere in the West. Here's a switching layout in TT scale built into a guitar case at the TTnut table. Neat idea.